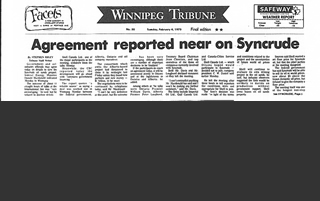 The federal government returned to the oil sands in the person of Sidney Clarke Ells (ca. 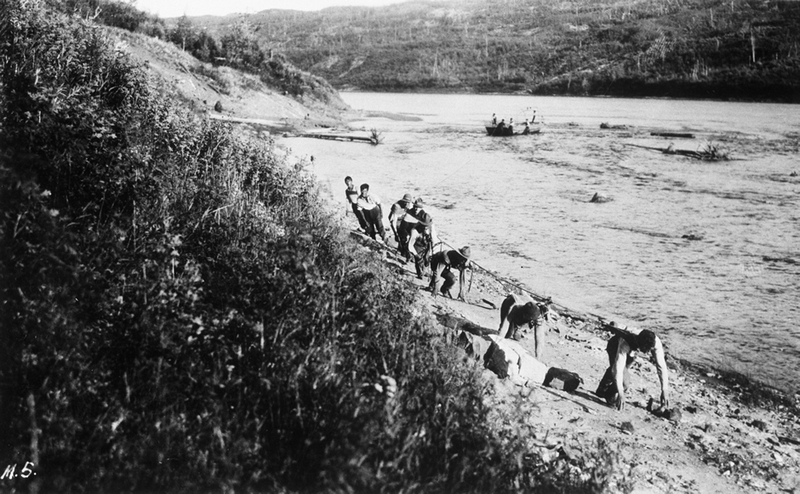 1880-1969), a young mining engineer sent to the Athabasca River by the federal Department of Mines. 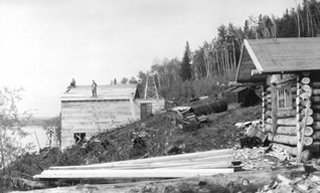 His assignment was to undertake a complete survey of the oil sands in order to evaluate their commercial potential. 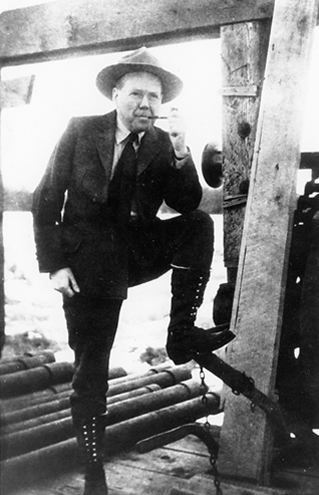 This mission blossomed into a passion, and, as Ells later recounted, he became “so enthralled with the possibilities of the oil sands that [he] preferred resigning [his] position rather than being deprived of making an investigation.” Investigation of the stubborn resource occupied the next thirty-two years of Ells’s life and work. 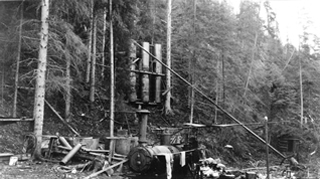 coal mines first as a miner and later as a surveyor. 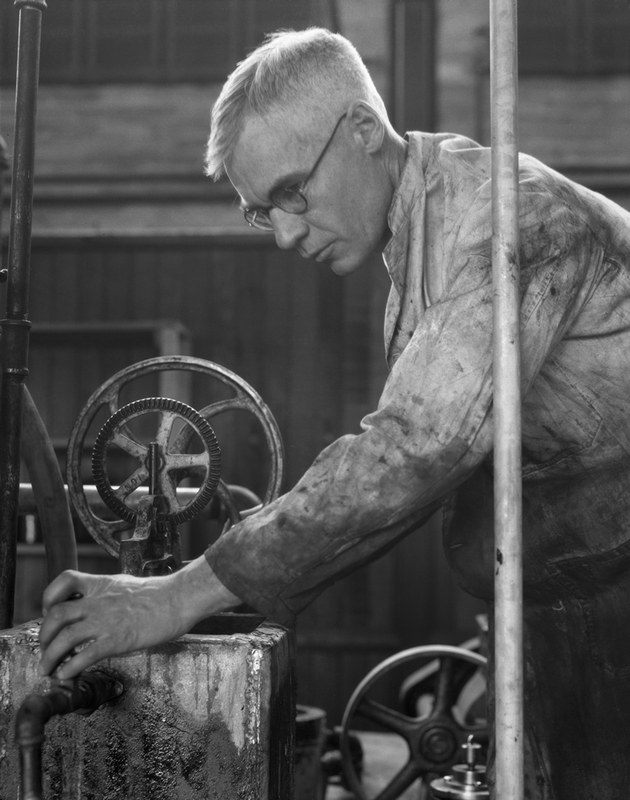 He then worked as an engineer for several railways before joining the federal Mines Branch in 1912. 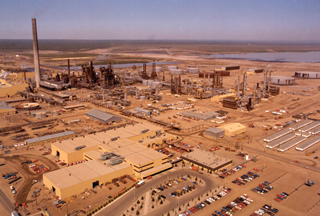 Ells’s interest in Alberta’s oil sands was piqued when he found himself unable to respond satisfactorily to an inquiry using the official reports available to him. 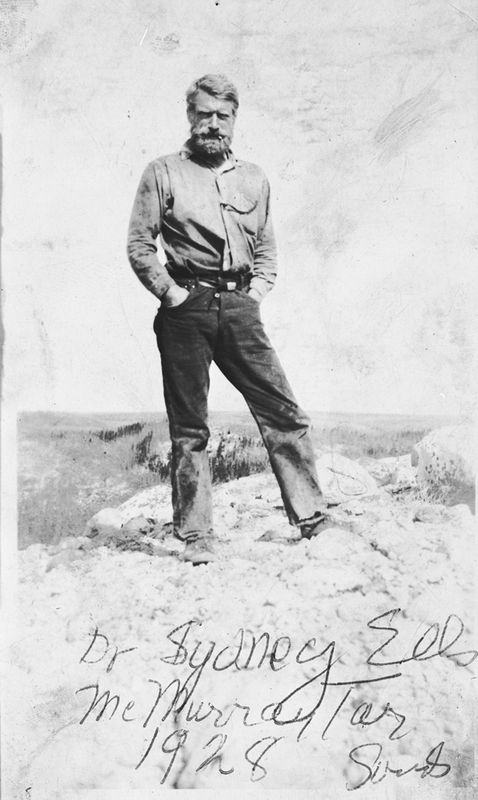 He was given authorization to travel there himself to investigate the resource first hand and initially ventured into the Athabasca region in 1913. 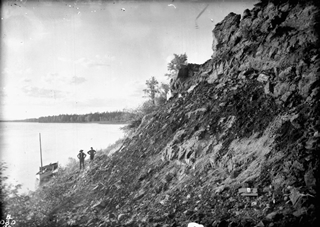 Over the course of three months, he surveyed 298 km (185 mi.) 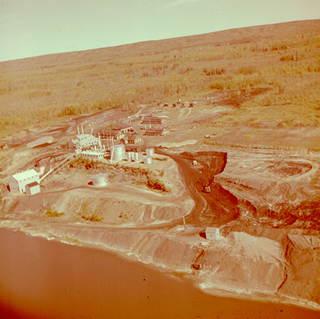 of the Athabasca River’s banks and recorded observations of 257 outcrops of oil sands. 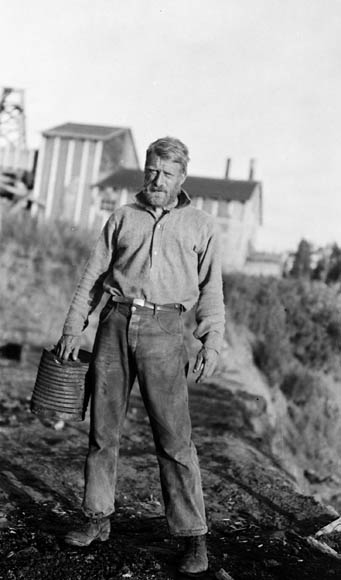 It was on this voyage that, according to Karl Clark, he “pioneered the exploration and sampling of the oil sand beds by drill holes.” He drew more than 200 core samples from depths of 1.5 to 5.2 m (5 to 17 ft.) by hand-auger. 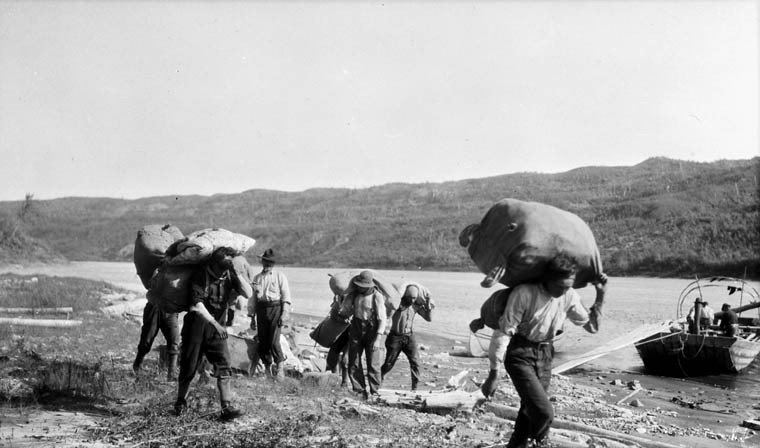 Approximately nine tons of such samples were carefully packaged in barrels and hauled upriver, out of the northern wilderness, by a crew of Métis and Dene rivermen. 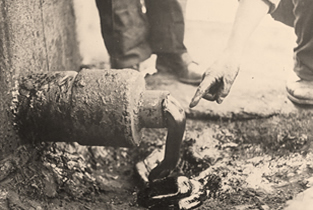 Among the conclusions Ells drew as a result of his initial exploration is that, contrary to long-held belief, there was no underlying pool of free oil. 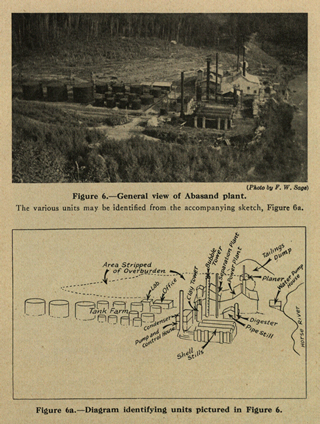 Thus, he recommended that a method of extracting oil from the sands mixture should be pursued. 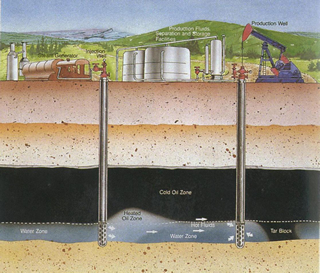 He also proposed that the most promising commercial application of the oil sands was as a paving material. 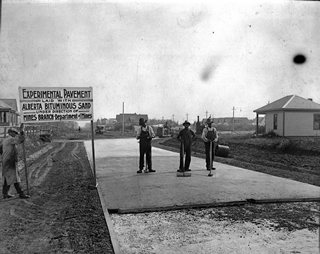 Paving experiments dominated his subsequent research, especially in 1927 and 1928. 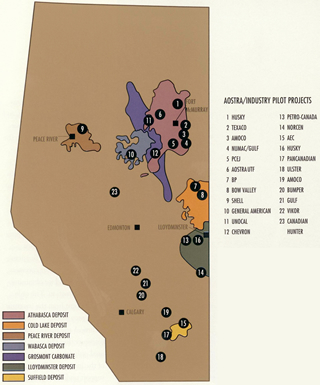 A final conclusion Ells drew from his season spent in the remote Athabasca region is that development of the oil sands would only occur after the creation of adequate transportation infrastructure leading to national markets. 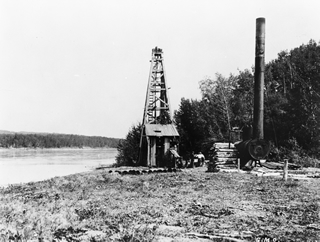 Canada), Ells was able to have 580 acres of land just outside Fort McMurray designated the Horse River Reserve. This was the location of much of his subsequent research. 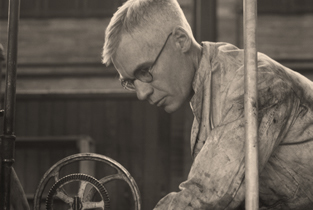 Ambitious to increase his understanding of the properties of the bituminous sands, Ells traveled to Pittsburgh, Pennsylvania, to study with the engineers and chemists at the Mellon Institute (later incorporated into Carnegie Mellon University). 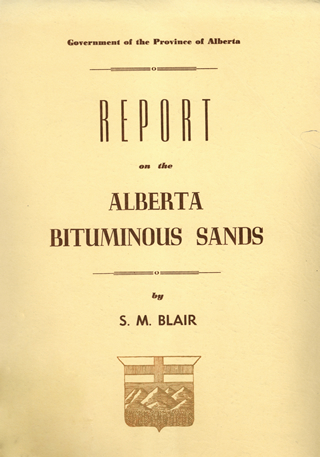 What resulted was a massive two-volume report on the oil sands and their location, chemical composition, commercial use and possible refinement. 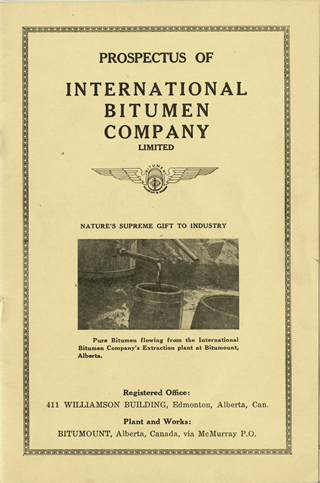 Perhaps Ells’s most important conclusion was that there are three methods that make it possible to extract bitumen from the oil sands, and the one yielding the most satisfactory results, he claimed, used hot water separation. 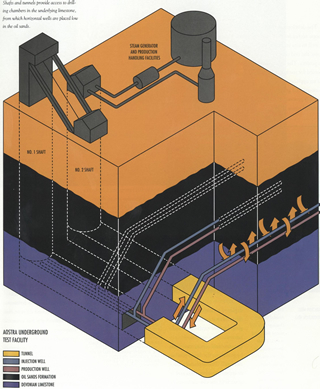 This method eventually became the basis for successful commercial extraction operations. Another important point made by his report is that the most likely means for achieving commercial success would be through government sponsorship. 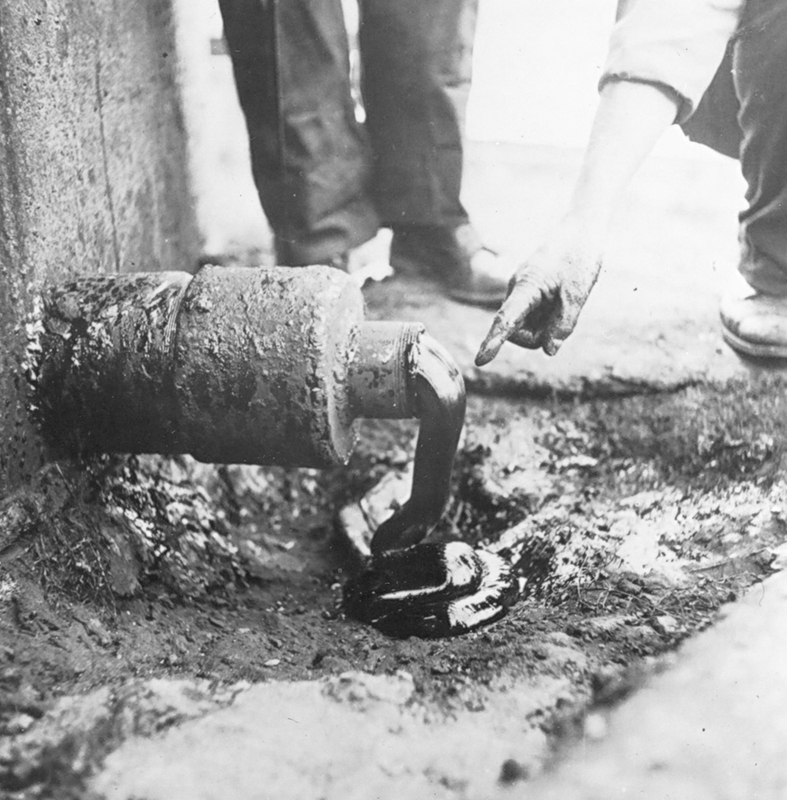 Ells’s investigations were interrupted at this point by the First World War. 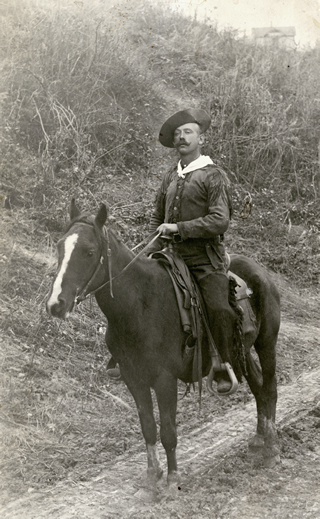 In 1917, he was sent to Europe as a member of the “Khaki University,” established to teach demobilizing troops; he did not return until 1919. 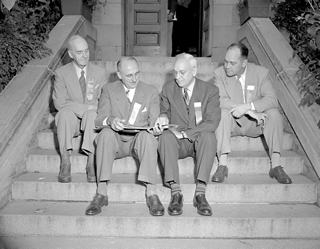 In his absence, two men, Karl Clark and Joseph Keele, were called in to review Ells’s report. 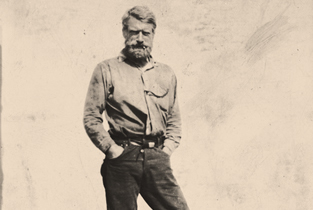 Their evaluation of his work was highly critical, characterizing it as illogical and incoherent. 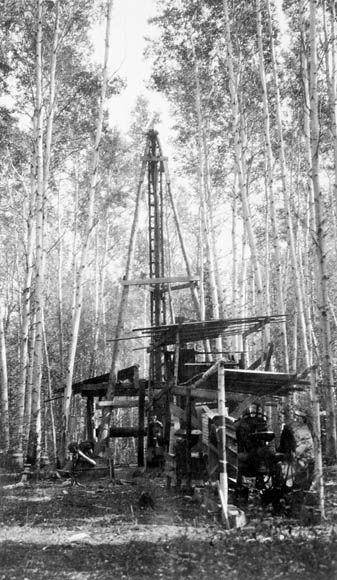 Upon his return, Ells found himself effectively shut out of the research community at the University of Alberta and the Scientific and Industrial Research Council of Alberta, which by then was spearheading oil sands research. 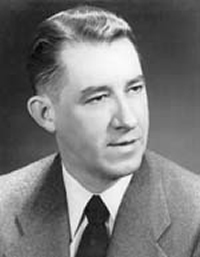 Karl Clark’s name eventually became synonymous with oil sands research. 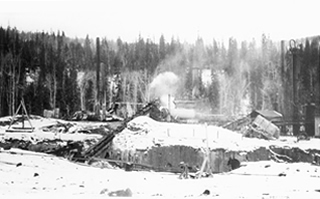 responsible for directing not only the attention of the Dominion government but also the ambitions of private speculators to the potential of this resource. 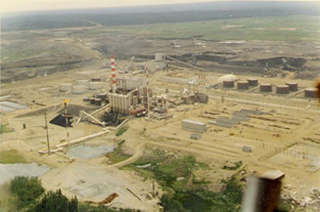 Above all, Ells must be remembered for having been an advocate for the place of the oil sands within the larger petroleum industry that already seemed destined to play a significant role in Alberta’s future. 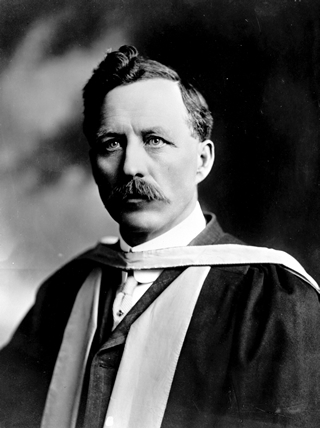 Sidney Ells later recalled that at the time he had received the inquiry that sparked his interest, there had been only a single official report about the oil sands, dated to 1883, in the records of the federal government. The twenty-six official reports and fifteen maps he produced by the end of his career clearly rectified this situation. 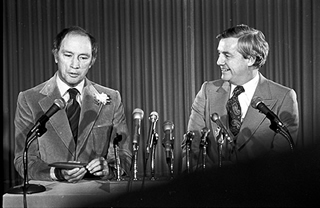 His presence among the guests at the 1967 dedication of the Great Canadian Oil Sands plant, the world’s first large-scale commercial oil sands surface mining and refining plant, is a testament to his pioneering role in the development of this industry.